Find prospects with the propensity to spend and the affinity to engage, then influence and retain them in unique and personal ways. I enjoy using the product because we can get insights on our constituents related to income and see what type of efforts they might already be involved in other areas. The P2G score is probably the most useful part of WE because it's possible to get a quick read on a person with a glance and then prospect further instead of wasting time on a less qualified individual. Sometimes it is hard to pinpoint a person because of the common names. Most of the time addresses are sufficient, but sometimes you don't know that information if you just pick up a contact from somewhere random. At the least give them a try. They didn't push us to make a decision as we were in the middle of a big project for well over 6 months. There sales staff was courteous, but also persistent and we received what we asked for which meets our current needs very well. We will receive lists of prospects from our CEO or some other source and then we want to see if the person has the capacity to give significantly to us. We also use the birthdays that we receive from Wealth Engine to segment our constituents for different appeals. "I have been using WealthEngine for many years and find it a very usefule tool." I like how WealthEngine evaluates our prospects in a variety of useful ways: Real Estate Value, Estimated Income, Donations to non-profits, Estimated Net Worth, etc. This helps us quickly identify our top prospects. The data is pretty accurate, but like any research, you will want to do some of your own verification of the data. WealthEngine gives us a GREAT starting point in evaluating donors. Because WealthEngine scans a variety of databases to gather it's information, some of the information retrieved is actually for a different person with the same name. I wish it was easy to remove incorrect data out of a prospect's profile. I use WealthEngine as my primary tool, but i use other sources as well. If you want to get the best profile/research possible, using multiple tools is the best option. With 40,000 alumni in our database, we need a solution to quickly and easily identify those that have the most capacity to make an impact at our institution. WealthEngine has done that for us. "Recommend WE for Nonprofit Development"
I particularly like the ease of individual search and the ability to find people who might be second degree connections of our nonprofit's constituents. The breakdown of a person's family foundations, Guidestar affiliations, and real estate have been especially helpful to me. I'm especially a fan of using nonprofit and organization search. Often there is a company that would be beneficial to have a connection with, but I don't know where to start or who to contact. Using Wealth Engine's organization search has saved me a lot of man-hours searching for the appropriate contact and their information. There isn't much to dislike about Wealth Engine, I've used it at three non-profits now, and I can say that the User Interface is seamless and easy to use. The chief functionality issue I have is with using the back button; sometimes, I imagine for whatever java is running in the background, the back button simply reloads the current page, and I have to use the navigation bars at the top of the screen. It's nothing too annoying, but it was something I had to learn about using the interface. Take into consideration the price vs how often you use the product. As with all tools, WealthEngine is more powerful if you use it more often. We use Wealth Engine to find prospects near our nonprofit. This includes, for us, finding people who have similar affinities to our nonprofit and who have the capacity to either make substantial gifts or who would benefit from learning more about our presence. "extremely positive experience with Wealth Engine"
It is a worthwhile investment for anyone trying to raise money whether in Development or for a company, new technology, or a product. There is literally no substitute for this information. Before Wealth Engine was available, this type of research would take days and frequently be wrong. That is never the case with Wealth Engine. It helps me to determine one's giving capacity as opposed to having an educated guess. That is HUGE. I frequently only have one chance to pitch a donor and I need to get it right. "Wealth Engine has revolutionized the way we fundraise"
Wealth Engine provides easy to understand metrics and scores, it has an ease of use unmatched by its competitors, and the Salesforce integration is seamless and an incredible time saver. Additionally, there always seems to be a webinar for training or growing in the skill of searching for the right things to find the right people. Sometimes manually searching for someone presents an endless waiting period and loading screen. When we do a mass upload for wealth scores we still get charged for the "50s" even though it doesn't provide us with any new data (although, admittedly, the problem with getting the "50s" lies on our end). Make sure to get it integrated into your current CRM solution before you roll it out. This has saved us a ton of time. We used to get new donors in and have to blindly target those who we thought might be the better prospects. Now with Wealth Engine, we're able to put data and numbers to the "targeting" process. Where we were shooting in the dark, now we're actually creating strategy and purpose behind each call, email, and visit. "Good source for wealth information research"
For me, the most useful area includes the wealth engine capability ratings, along with information on assets, income and net worth. the political giving section is also very nice to have included. The charitable donation records are improving, as well as the household profile information. Spouses are clearly identified in wealth engine, which is not always the case with other vendors. The real estate section is often difficult to interpret, as it often includes many historical addresses that make it hard to determine current information. There is often overlap between those with similar names, as well, which will affect wealth ratings, so care must be taken. "Easy to Use, reliable information"
That all wealth information is compiled in an easy to read format. I honestly have no complaints. If there was a better way to vet common last names, that would be helpful though. It's incredibly user-friendly and their customer support team puts on a great training webinar so you're fully ready to implement all the capabilities within WealthEngine on your team. 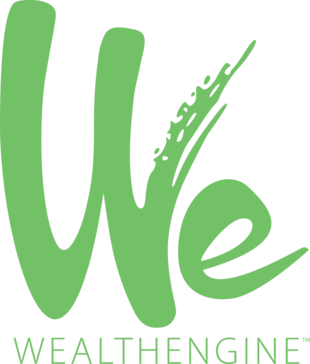 The information compiled on WE is generally accurate and is a great asset to any nonprofit or business looking to increase customer knowledge. It's early on in using Wealth Engine at Students For Liberty but it's already helped us qualify prospective donors for larger asks as well as see donors who were scoring higher than their capacity is on other wealth assessment tools. "Wealth Engine works for Small Nonprofts"
Beautiful interface, easy to use platform, and their customer service is great! We're using this software to ramp up our major gifts program in ways that would be very difficult to without it. The price can be a little intimidating for a small organization. For us, it's worth it because we have a large enough donor base. I recommend that smaller organizations carefully assess their priorities before signing on. Take advantage of the training included in your package. It's important that you know and utilize the full potential of the software. We're learning more about what motivates our donors to support our organization. We're also getting better at effectively budgeting our time on major donors. "After three years, looking for an alternative"
While it integrates with Salesforce, it is clunky and not "seamless" as described and touted. While price has been somewhat reasonable, we were just informed of a jump from @$3700/yr to $5,000/yr with no discernable improvements. Donor giving histories are many years behind, and very incomplete. This is really important to me as wealth is important, but wealth doesn't matter if the prospect doesn't give. Their highest P2G (Propensity To Give) score supposedly measures wealth and history of major giving. However, I find that is often not true as donors will have the top score, but absolutely no giving history. System is very slow to load, especially if you drill down. Sometimes pages won't load at all. Salesforce integration is spotty, and you can't bulk screen under current agreement. New agreement seems to allow this up to 8,000 records. The market seems to be passing them by. This is a fast moving field, don't think they are keeping up. Wealth Engine is better than no system, but only marginally helpful. "Wealth Engine provides tools for success"
Ease of use/navigation, cleanliness of interface, overall quality of data and information, ability to analyze and compare our data with that of the industry, responsiveness of staff and customer service! Sometimes, in the records themselves, there is conflicting data - real estate values, or ages of household members, for example - and that information can be very confusing. In these situations, because the data comes from public records, it is hard to tell what is most accurate. We are also new to the platform, so some of this could be a learning curve. You get what you pay for, and Wealth Engine is worth the price! If nothing else, the level of customer support is incredible. Wealth Engine gives us an insight into our community and our constituents in a way that allows us to strategize most effectively for annual fundraising and special campaigns. The data we are able to get (and to trust) enables us to focus our efforts to achieve the greatest success. "WealthEngine is a Great Resource"
Screening results were returned within minutes minimizing delays in our processes. Reports were clear and concise. Data was easily imported into our CRM software - Raiser's Edge from Blackbaud. WealthEngine staff are very knowledgeable and great to deal with. They were very helpful when I first started with my company and needed to have myself added as the administrator when the previous administrator was no longer here. I cannot think of anything that I dislike about this product. WealthEngine is helping us to better allocate resources to the donor relationships that will be of greatest benefit to our organization. It provides excellent data points to allow us to segment and target our audience in appeals and solicitations. Allows our gift officers to better prioritize their efforts. Importing the data from RE also gives us a much better picture of our donors. "After reviewing the top providers, Wealth Engine is best." CoreLogic, included with WealthEngine, allows me to search for property values by property address, mailing address, and owner name (including corporate name). I can find properties by corporate name which can't be done with any other provider. Wealth Engine provides stock information along with a complete list of historic trades which is a great time saver. The Household Profile information is often repeated a number of times. This information is not useful to me and bogs down the search with repetitive information. It is worth doing a trial with the top providers - once you do you will find that Wealth Engine is the best. I research prospective donors. By using my research the client very often discovers wealth not realized before and is able to ask for a larger gift amount. "An expansive resource providing company for non-profits"
The customer service paired with easy to use/understand products have been by favorite aspect of working with Wealth Engine as our company has looked to improve our fundraising efforts. The sheer volume of information available can be overwhelming at times. Attempt to understand what you want out of Wealth Engine before investing. Wealth Engine is a tool, but if your company doesnt have the resources or time or ability to use the tool it won't help. I very much recommend doing a demo and seeing what ways they may be able to help. Our company needs to target our resources more wisely and Wealth Engine helps narrow down the customers interested in what we do and who have the means to help support us. "Easy to use, beneficial to fundraising"
I like the rating system (P2G scores). Having those ratings makes it very easy to decide if it is a person we should be personally reaching out to, if an email would be best, or if we should not waste time and resources on someone. I try to ignore the additional info on a prospect such as past addresses and organizations because I find it a little more confusing and that info tends to not be correct. An example of info that I have found incorrect is when I looked up myself it says that I am married, but I have never been married. It helps us to find people that we should be reaching out to for donations. We use WealthEngine on a daily basis to estimate certain wealth attributes of alumni in our database. I like how easy it is to use and I also like that the information provided is straight-forward and easy to interpret. There really isn't anything I dislike about WealthEngine. This is by far my favorite product I use for work. It is also the easiest. I feel confident that the information provided is accurate. I would definitely recommend this product to individuals working in Advancement. It is a great prospect research tool! We use WealthEngine when creating profiles for our alumni. We can find information regarding their giving capacities, stock information, and charitable giving history. "Good reporting, but expensive/inflexible for a batch solution"
Wealth Engine provides solid reporting that we have found to be generally accurate. When there's a match to find, WE has generally found it, and while the data isn't always perfect, it's a good indicator for where to start with fundraising and targeting mid and major level donors. Batching data in and out of WE is frustratingly opaque, and the customer service leads something to be desired. Sales team also employs some rather shady 'used-car-dealer' negotiation styles - we were given the classic "we have this sale until friday at 4pm, it's the lowest ever, but you have to agree now, and we definitely can't offer the sale price next Monday which is when we are available to answer your questions about the product." One final dislike - WE changed the way their data was reported a year or two ago, meaning there are now discrepancies between our data sets, which makes it hard to do comprehensive reporting for multiple years. The largest benefit we've seen is an easy way to see help classify our donors into tiers - general, mid, major. "One of the most comprehensive prospect research tools"
The way the information is gathered and presented is very helpful in my position. There are times when I need to re-check the information I'm seeing in WE. There are times when the information is old or incorrect, although they are few and far between. Useful tool, well-organized, very user-friendly. I am able to quickly gather a pool of high-level prospects on whom I put into our pipeline. It is helpful having detailed stockholdings on insiders. "Silence the noise and get FOCUSED on top prospects"
Look, this product isn't going to spoonfeed you donors who are going to drop a 6-figure donation on you tomorrow. What it will do is help you silence the noise and get focused on your top prospects. It's not perfect, but it's a million times better than winging it. The user experience and user interface leaves some to be desired, but it's workable. We use it almost primarily through Salesforce, which helps. We have tens of thousands of prospects that need qualifying. WealthEngine instantly qualifies those prospects in a way that saves me literally hundreds of hours of work. "Wealth Engine for Non Profit"
I have my reports set up to sync daily, so I know the exact time they will be there. It's helpful during a busy day. I know I don't use this to the fullest, I need to spend some time learning more about the program. Like I said, I don't know the ins and outs as well as I should, but it gets the job done. I work for a hospital foundation, this helps us evaluate patients for outreach and prospecting. From a benefit standpoint, WE allows us to effectively screen potential donors before we approach them to make an ask. This program lets us better target which people we approach for different initiatives and amounts. "Best App on the market for comprehensive wealth information and salesforce integration. " First off I love the fact that Wealth Engine continues to innovate their product. Every year since we have had wealth Engine they have added some type of new service. The support and sales people are wonderful to talk with and very helpful. They are by far and wide the best ones doing what they do with their their integration with salesforce. The only thing that is somewhat negative is the price. It is by far the most expensive app that we subscribe to on an annual basis. However, the information that we can gather and insight that we can gain into our donor base is well worth the price tag. Make this budget item in your annual budget, it is worth it. Gain insight and knowledge on our donor bases wealth. The benefits are not only having this data directly in Salesforce but using it in meaningful and impact-full ways. The data base is full of useful information that would take me otherwise hours to find on a donor, done in seconds. Mass scoring is also incredibly useful, and the SalesForce integration is easy to use. I dislike that have not found a way to search people by email address. The research phase for donor qualification has been cut in forth, and there information is easily verifiable. It has made strategic planning a dream. "I would recommend Wealth Engine"
My favorite part of Wealth Engine is the ability to perform unlimited one-off searches. Sometimes the wealth capacity ratings are inaccurate, especially when a constituent's name is common, or if you are searching for someone who is a "senior" "junior" or "III". Wealth Engine is easy to use and is a helpful tool for a prospect management and research department. It helps us to prioritize our major gift suspects for outreach. "I have been using WE for over 10 years. It is a very good aggregator of information." Their screening service helps in providing a rank-order list of prospects. While their giving capacities may be not be perfectly accurate, they do provide a starting point for further research. There is still an issue with the merging of several individuals into one "super prospect." A WE screening gave us a starting point to examine a list of 40K+ names.The main benefit is the time savings realized for the researchers. "Good product but data organization and verification could be better"
I like that all the data for an individual can be seen on one page. Most data is good but all of it needs to be verified as some data changes quite rapidly especially for large donors. Verification can be cumbersome. It can be hard to identify what is historical data and what is current data. For full integration with Salesforce their is a monthly cost per user. as a nonprofit this was out of our budget. We have been able to do more targeted direct mailings based on the analysis WealthEngine has done on our database and their rating system. It has also been helpful as we prioritize who our development staff will meet with when they visit an area. The profile provides a quick and useful overview of prospective donors' giving capacity. I can dig deeper to see preferred charities, causes and possible affiliations. I wish it was easier to run WE ratings in batches, using our Salesforce database. Wealth Engine allows me to quickly spot prospective donors in a massive database of individuals. It has helped me segment my donor list and spend my time strategically. "WealthEngine is One-Stop Shop for Assessing Giving Capacity"
WealthEngine is critical for obtaining a reasonable understanding of an individual's capacity to give based on numerous factors, mostly highlighted in the full profile option. Lack of connectivity back to organizations supported by individuals. Assistance with identifying the right prospects for our endeavors and having access to a collection of information that would otherwise take more time to identify and organize. What I like best about Wealth Engine is the ability to connect everything directly into our CRM, Salesforce. It makes reporting, communication, and all the tools easier to use! I do not like that you have to pay for all users to see the data in Wealth Engine and that was actually miscommunicated to me in the sales process. We are able to screen all of our donor's and their giving potential. This helps us prioritize various relationships to increase our revenue. "WealthEngine: simple wealth management, connected to Salesforce"
WealthEngine offers a great wealth database. Its simple Salesforce integration helps us target our email campaigns, track campaign influence, and even plan personal outreach. Would recommend. The Salesforce integration with WealthEngine can be a bit clunky. For instance, I have to set different contact page layouts by profile so non-WE users don't see an error where the app should appear. It's great to be able to see prospective, current and past donors' activities, alongside their potential ability to give, click rates, campaign influence, etc. all in one place (Salesforce). WealthEngine is easily embedded into Salesforce contact records to give our fundraising team a nice overall sense of engagement. "WealthEngine Delivers - Easy To Use"
The results- we get very useful information on prospects and, overall, the product is VERY easy to use. The bulk scoring templates can be somewhat difficult to get used to. Validating purchasing power is the KEY benefit. The benefit to having that data is being able to offer appropriate level products based on purchasing power / net worth. "Identify Good Prospects in Your Donor Pool"
WealthEngine provides clear and simple wealth ratings for our prospects. In addition to that, they offer other innovative products like real-time prospect modeling which allow you to get to know your donors in a different way. The results page can use some work. Sometimes the results lag a bit to load and it's hard to keep them neatly organized. Better when screening a large pool of donors or if you want to model your current pool. This is a great tool to help feed annual giving prospects to our gift officers. I liked best that my data came back ready to import directly into Raiser's Edge. It imported very smoothly. That more of the returned data doesn't import into Raiser's Edge. We are looking for new prospects for a capital project. WE has identified new prospects. "Great source for donor information"
It is not clear why some people show up in a search and others do not. Not sure what the criteria are for presence in the database. Screening potential board members, verifying spouse names and residence addresses. Ease of use - to find basic information on prospects/donors. Information such as real estate holdings is pretty easy. Not necessarily up to date, and an overreliance on real estate holdings for estimated capacities of giving. It's a tool, and not the end all for donor/prospect research. It has multiple databases, which is convenient and can give quick snapshots of donors. Also putting profiles together is very easy. Not so much business problems being solved, but WealthEngine has been a good tool for us to use when researching prospects and getting an idea of their interests, capacity to contribute to our organization. Wealth Engine's search is easy to use. The results offer a lot of information. I really like that they show previous known addresses. At time some of the information that comes back is outdated or wrong. It helps finding new addresses. "Not much better or worse than competitors"
It is really a means of streamlining the research process. All of the information is publically available through basic google and local property record searches. That said, it does the job fine. Not the slickest interface/design. duplicate real estate records. outdated and incomplete charitable giving history. It's fine. iWave is slicker. It has helped streamline and organize the research process. This product is easy to use. HelpDesk and training staff are very helpful to both teach and answer questions. We began to use WealthEngine without any training. The problem was ours, not theirs. We failed to take advantage of the resources available and therefore did not use the software to its fullest potential. Greater information about our donors and alumni was acquired. Corelogic real estate information - I can search for multiple properties across the U.S. It is incredibly easy to find what you are looking for - wealth capacity, propensity to give, bequests, etc. Profiles aren't the easiest to digest. I wish WE offered more customizations here. WE continues to offer the best improvements - if they don't have what you need right now, they will soon! With the info that Wealth Engine provides, I was able to effectively streamline moves management strategies and increase annual fund donations. Wealth screenings were also incredibly easy to run! Wealth engine makes it easy to focus attention on high-dollar donors, especially when conducting outreach to potential new donors. Some of the information is not always accurate, which can make things difficult. Wealth engine saves time by allowing users to identify donors with significant giving potential and focusing time and attention on those specific donors. Provides at your fingertips (keyboard) information on your donor pool to provide better prospecting opportunities from your donor pool. It can be expensive for smaller non-profits. We are building up our donor pool and donor resaearch department and wealth engine has been helpful in this. Nothing at this moment. I really enjoy using the tool. * We monitor all WealthEngine reviews to prevent fraudulent reviews and keep review quality high. We do not post reviews by company employees or direct competitors. Validated reviews require the user to submit a screenshot of the product containing their user ID, in order to verify a user is an actual user of the product. Hi there! Are you looking to implement a solution like WealthEngine?